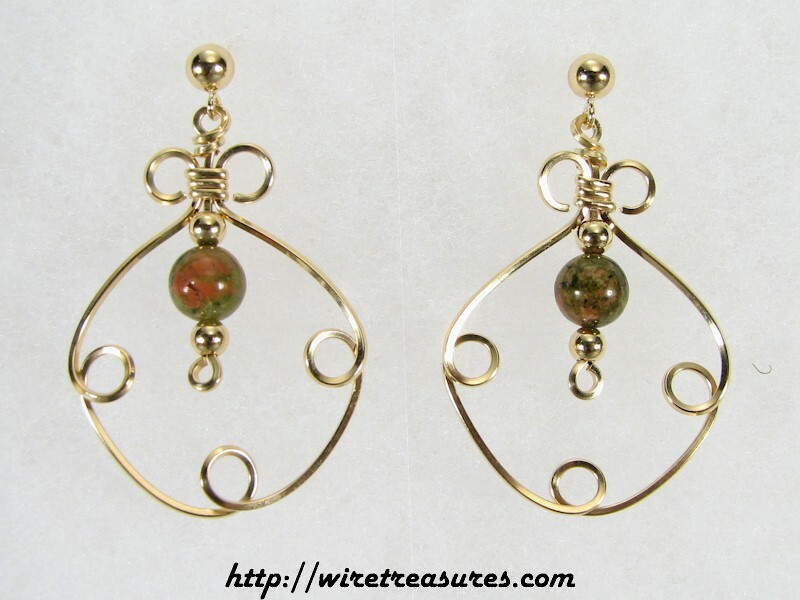 This new design features a "Fancy Box" of 14K Gold Filled wire; each earring has two small gold beads and a larger Unakite bead. These earrings are almost 1-3/8" long, not including the ball posts. You are visitor number 4,017 to this page.